This year I read 129 books. If you click on my website in the menu bar above, you’ll see I’ve changed up the look of my website, and added a new blog to it. 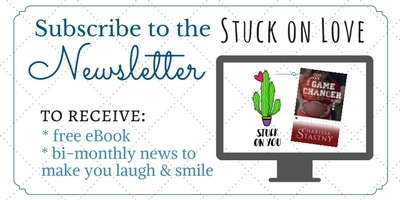 Char’s Succulent Thoughts will be more of my author arena to post about book updates, giveaways, & random thoughts. Joy in the Moments will lean more to book reviewing. At least, that’s what I’m thinking at the moment. We’ll see how things pan out, right? Last little tidbit to ring in the New Year is…. Package Deal will release January 10th. I’m super excited for you to read this second book in the Ruled Out Romances. It was a blast to write, and I really, really love Hudson & Spring in this story. Spring really is an angel. Little Emma’s adorable and annoying (like any good toddler should be). Don’t you love her shoes on the cover? I hope you’ll enjoy this. If you’re interested in being an early reader in exchange for leaving a review on Amazon, shoot me an email from the contact page and we’ll talk (Ebook only). I’ll talk to you next year.